A Quality, Well constructed Cable which is easily stripped and worked with. 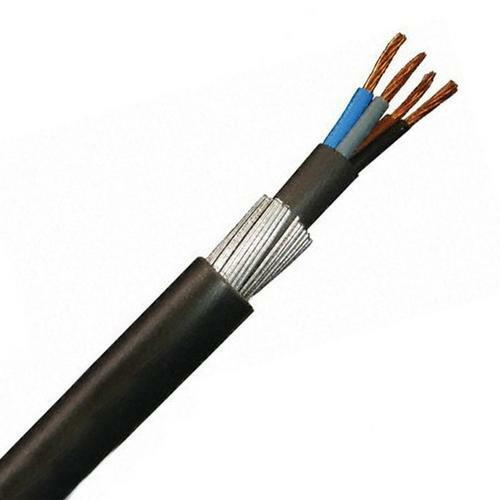 Steel Wire Armoured Cable, commonly known as SWA Cable, is a hard wearing power cable which is designed for the supply of mains electricity. Suitable for use in power networks, underground, internal, external applications and for use in cable ducting. It can also be connected to an earth via a Cable Gland which will give the cable further protection. The steel wire armour sits below the cable sheath to provide protection to the conductor and insulating layers which means the cable can withstand high stress and be buried directly underground. We carry a wide range of accessories to match this cable, such as a 20mm Gland or Size 7 Cleat.